Located right in the central part of Golden Sands, Admiral hotel provides easy access to the lively pedestrian street and the sandy beach. The hotel is located just 20 m from the beach. Guests of Admiral hotel can choose from 288 different in type and standard rooms - single and double rooms, apartments, and spacious studios. 3 elevators service the 7-storey building of the hotel. All rooms offer individual bathroom with a hairdryer and shower/WC. Air conditioning, telephone, satellite-TV and a minibar are also provided in the rooms. 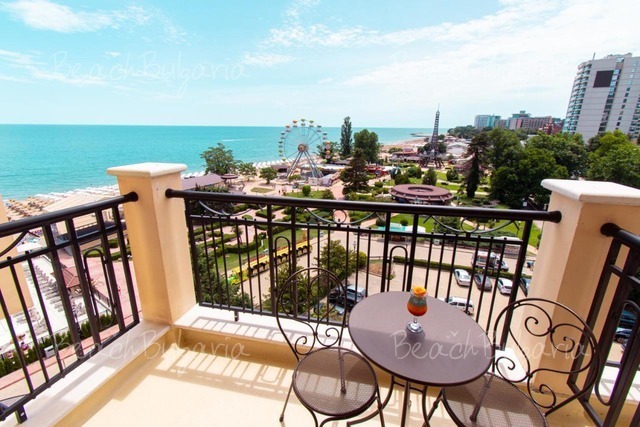 Beautiful sea view is offered from the balconies of most of the rooms. The suites offer additional comforts. They are more spacious than the standard rooms. Internet connection is available in most of the hotel units. Guests can enjoy delicious international cuisine in the a-la-carte restaurant and the main restaurant of the hotel. The hotel offers a stylishly designed lobby with a reception desk and a lounge. An exchange desk and several shops can also be found at the hotel. Free entrance to the PR Club, one of the most popular clubs in the resort is provided to the guests of the Admiral hotel. 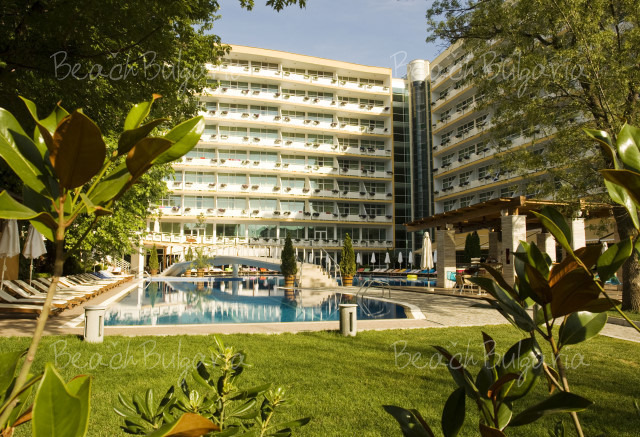 The health club of the hotel offers spa and wellness centre with a sauna and massage studios, a gym, as well as an indoor and an outdoor swimming pools with children section. The hotel offers a conference centre with a meeting room, multifunctional hall, as well as a video hall. * All prices are per room/apartment, per night, breakfast included. Swimming pool, parasole and sunbeds near swimming pool, jacuzzi are included in the price. * Cancellations can be made free of charge providing details of this are received at least 7 working days prior to check-in time on the day of arrival and 14 days during 13 July - 21 August - cancellations made after this period will incur a fee equivalent to the cost of 3 night's accommodation. *** Prices are valid for min stay of 5 nights. Looking foreward to be at the wonderfull Admiral Hotel for the third time. The best service. The kindest staff, the very best food, and wonderfull rooms. Hope to get a very nice room this year too. 459 was the first year, and it was so very nice. We will arrive on sunday 22. of august. See you all then. 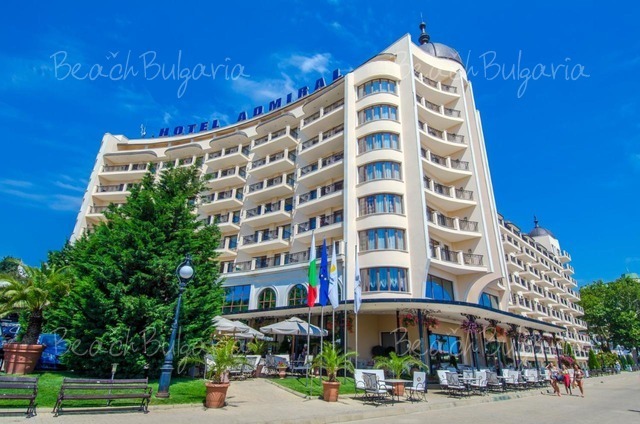 Just to tell, that we are looking foreward to stay at the Admiral Hotel in August. We will arrive on the 22. and leave on the 29. This will be the third time we will stay at this hotel. And why ? Because you have all that we need for a very wonderful week in Bulgaria. 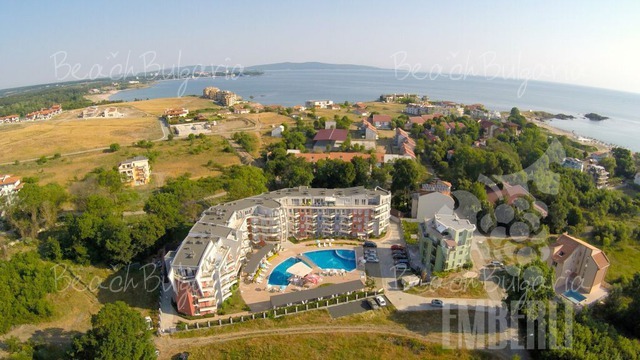 2010 will be the 8. year in a row we spend our summerholiday in Golden Sands, and we will retur year after year, and off course to Admiral Hotel with the good service, nice staff, splendid rooms (451), very nice food, wonderfull wienercafe, exeptionel fitness, beautysalon,and a lot more. We are so happy, that we found this place, and we will allways come back, next year mabe with our children and grandchildren to celebrate Anny´s 60. birthday. Only a few month till we meet again. See you soon. Please, post a comment on Admiral Hotel. 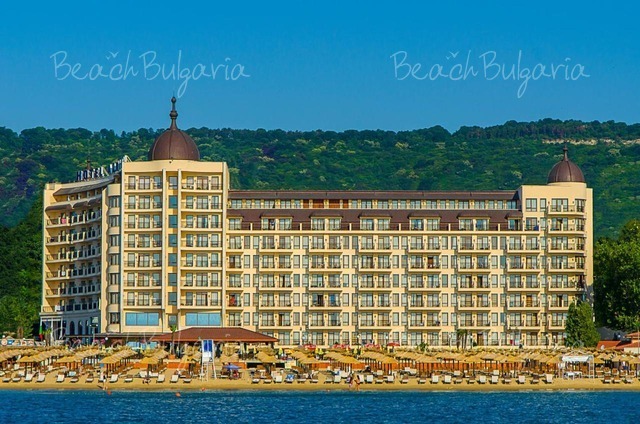 Is the 4-th year I've spent my summer holidays in Bulgaria, on the Golden Sand Resort. Is the first time in hotel Admiral, and the firs time when I really enjoyed my stay. In fact I'm now sure that Admiral Hotel is the only one which definitely deserve the 5 star classification, thus I definitely recommend to all!